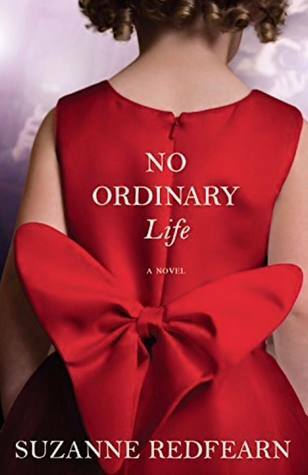 Suzanne Redfearn, an American author, pens a heart-wrenching family story, No Ordinary Life that deals with the life of a woman with three young children, left abandoned by her husband, who is finding it difficult to make the ends of daily life meet with no constant flow of finance. But one day, luck shines upon her family when her little daughter is given a chance to act for a major commercial brand advertisement. Faye Martin never expected her husband to abandon her and her three children . . . or that she'd have to struggle every day to make ends meet. So when her four-year-old daughter is discovered through a YouTube video and offered a starring role on a television series, it seems like her prayers have been answered. But when the reality of their new life settles in, Faye realizes that fame and fortune don't come without a price. And in a world where everyone is an actor and every move is scrutinized by millions, it's impossible to know who to trust, and Faye finds herself utterly alone in her struggle to save her family. Faye is left abandoned by her husband, who now needs to take care of her three children- two daughters and one son on her own. Finding it difficult to make ends meet, she moves to her hometown with her mother in pursuit of a job, that is when her youngest daughter Molly is discovered through a totally random video on YouTube where she is dancing to some tune in a shopping complex. Her pretty 4-year old daughter, Molly, then bags a lucrative offer from GAP, and a big-shot TV mini-series that finally launches her into the world of Hollywood. But fame comes with a hefty price and soon Faye is thrown on to the face of some complicated challenges that might jeopardize the future of Molly as well as her whole family. What happens next is for you to find out! Firstly the book cover image is absolutely fantastic as well as very arresting. The author's writing style is classy and laced with lots of emotions that will make the readers feel as they delve deeper into the story. The narrative is interesting and inspired from realism that will keep the readers anticipating till the end. The pacing is moderate as there is lot of drama in and around the set of the TV series that the author have written quite descriptively. The characters are highly inspiring and drawn from realism and I loved Faye, how she bravely handled and took care of her three children, despite of the fact that the children are missing the presence of a fatherly figure in the household. She held to the children, even though there were differences in her elder daughter's demeanor. She is like an epitome of single mothers one, whose postivity keeps her family move forward. The supporting characters are also very well-developed. The children of Faye are a charm to read about with their cute demeanor, even when they got angry at times. The story ponders vividly into the world of Hollywood, the glitz, the glamour, the world of paparazzi, the behind-the-sets drama, scandals and many things which are portrayed with in-depth details. Faye's life is under the limelight, every move is under the lens of some nosy or some famous reporters. How paparazzi effects a celebrity's life is also well captured by the author. The story is emotional and the author depicts the love of a mother and the importance of unity in a family so strongly through this story. The story is delightful to read and I will recommend the contemporary readers to give it a read! Verdict: An engrossing story about a child celebrity and her family. Courtesy: Thanks to the author, Suzanne Redfearn, for giving me an opportunity to read and review her novel.